You are at:Home»January»January 8»January 8, 2005: Even High Tech Cannot Stop Another Naval Oops Moment! On January 8, 2005, the United States Navy, normally pretty safe drivers of large grey boats, managed another one of those “Naval Oops Moments” we keep writing about when the nuclear powered submarine, USS San Francisco (SSN-711) (Los Angeles Class attack sub), managed to collide at full speed with an underwater mountain off the coast of Guam in the Pacific Ocean. Operating at a depth of 525 and sailing at flank (maximum, but classified) speed, it is a true testament to the brilliance of the designers and builders of the sub that the boat and its crew were not lost. Only 1 man was killed, and while that death is tragic, the fact that more of the crew were not killed is borderline amazing. The boat (submarines are called boats, even though the modern variety are pretty big ships in their own right) was seriously damaged, with the forward ballast tanks ruptured. The excellence of the crew in coping with the damage and making the correct decisions allowed the stricken sub to gain positive buoyancy and reach the surface after a harrowing struggle for survival. A total of 98 of the 127 sailors aboard the sub were injured. The fatally injured man, Machinist’s Mate Second Class Joseph Allen Ashley, 24, of Akron, Ohio, had suffered a head injury and died the next day. Luckily for the crew, the nuclear reactor and drive line of the ship were not damaged, and the pressure hull, the shell of metal that encases the crew, was not breached. The submarine made its way to Guam on January 10, 2005, under her own power though escorted by Coast Guard Cutters and aircraft. San Francisco in a drydock in Guam during her temporary repairs for her voyage to Puget Sound, May 2005. Examination of the damage quickly confirmed that the sub had indeed struck a “seamount” (underwater mountain) and not another submarine or other type of obstruction. The captain of the San Francisco, Commander Kevin Mooney, was found to be at fault for failing to ensure proper planning and navigation protocols were followed. He was relieved of command and issued a reprimand, a career killer for an otherwise distinguished sailor. Another 6 members of the crew were given non-judicial punishment (a class of disciplinary action below the level of a court martial) and reduced in rank. On a happier note, 20 of the crew were awarded medals and letters of commendation for their heroic and effective actions during the emergency. (Our hats are off to the well trained and cool under pressure sailors that must have been operating under terrifying and desperate conditions. Bravo Zulu to you guys!) Although the seamount was not on charts available to the San Francisco, the area of the seamount was marked with the ominous notation, “dark water” which could indicate such as subsurface projection. 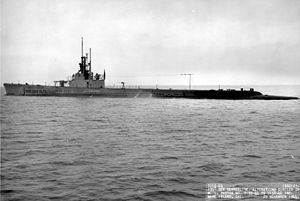 Repairs to the San Francisco in Guam were of a temporary nature, just enough to allow the sub to travel to Puget Sound (Washington State) for more permanent repairs. The novel solution to the heavy damage caused to the San Francisco was to replace the bow of the sub with the bow section of another Los Angeles Class submarine, the USS Honolulu. Although the Honolulu was newer than the San Francisco, the San Francisco was more up to date and scheduled for another dozen years of service. Repairs were completed and the submarine reentered service in 2008. The section cut off from the San Francisco and replaced by that of the Honolulu weighed an impressive 1 million+ pounds! In 2016, the San Francisco completed its service life and began conversion to a “moored training ship” stationed at the US Navy Nuclear Power Training Unit in Charleston, South Carolina. The USS San Francisco was a highly capable attack type submarine, entering active service (commissioned) in 1981, and stretching an inch shy of 362 feet long. The sub displaced 6,145 tons when loaded and boasted 4 X 21 inch torpedo tubes through which it could fire torpedoes, cruise missiles, anti-ship missiles, or lay mines. Newer submarines of the Los Angeles Class also have 12 vertical launch tubes for cruise missiles, but the San Francisco pre-dated that development. Top speed (achieved underwater) is classified but may be in the 30-40 mph range. Other than attacking surface and shore targets, the Los Angeles Class submarines can also target enemy submarines, gather intelligence, or be used to insert special operations forces (SEALs), as well as perform rescue work if needed. Of the 62 submarines of the Los Angeles Class, built from 1972 to 1996, 32 remain in service today. To illustrate the size of the San Francisco we compare it to the American World War II submarine Gato Class, which were 311 feet and 8 inches long with a submerged displacement (loaded) of 2424 tons, with a comparatively small crew of only 6 officers and 54 enlisted men. The Gato Class boats had a beam of 27 feet compared to the 33 foot beam of the San Francisco. Note: The history of naval operations is replete with tales of woe caused by bad weather, bad luck, bad design, bad decisions and sometimes who knows what else! The number of collisions and groundings and various accidents makes for a frightening litany of reasons why going to sea is a hazardous occupation. Please see our other articles concerning maritime disasters and “oops moments.” (Including “Yet Another Naval Blunder (HMS Barnham Sinks HMS Duchess In Spectacular Display of Explosions),” “HMS Curacoa, Yet Another Naval ‘Oops’ Moment!,” “Most Powerful Warship Sinks on Maiden Voyage,” “10 “Oops!” Moments in Naval History,” “The Honda Point Disaster,” “The Submarine that Killed its Inventor in the American Civil War,” and another article that includes a few more naval mishaps, “10 Monstrous Military Mishaps.” We also have many other maritime related articles, both disaster and more positive themed articles. Questions for Students (and others): Have you ever been on board a submarine? 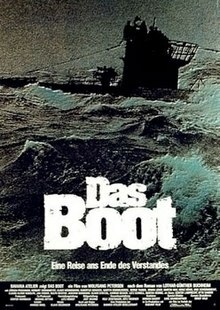 Have you seen any of the classic submarine movies such as Das Boot, The Hunt for Red October, Crimson Tide or Run Silent, Run Deep? Have you ever read about or watched documentaries about submarine warfare? Would you be willing to serve on a submarine? Bonner, Kit, Carolyn Bonner and Kermit Bonner. Great Naval Disasters: U.S. Naval Accidents in the 20th Century. Zenith Press, 1998. Friedman, Norman. U.S. Submarines Since 1945, Revised Edition: An Illustrated Design History. Naval Institute Press, 2018. Symonds, Craig. The U.S. Navy: A Concise History. Oxford University Press, 2015. The featured image in this article, a U.S. Navy photo by Photographer’s Mate 2nd Class Mark A. Leonesio (RELEASED) from http://www.navy.mil/view_image.asp?id=14706 of the attack submarine USS San Francisco (SSN 711) being escorted by two harbor tugs returns to Apra Harbor, Guam, after a five-month deployment, is a work of a sailor or employee of the U.S. Navy, taken or made as part of that person’s official duties. As a work of the U.S. federal government, the image is in the public domain in the United States. San Francisco is to attached to Commander, Submarine Squadron 15 (COMSUBRON Fifteen), which is the Navy’s only forward-deployed submarine squadron and is homeported in the U.S. territory of Guam. Next Article January 9, 1918: What Was the Last Battle of The American Indian Wars?